I was just looking over the Twin Cities Drupal Camp schedule and observing all the great content that we have for folks who are not regular Drupal users/developers. 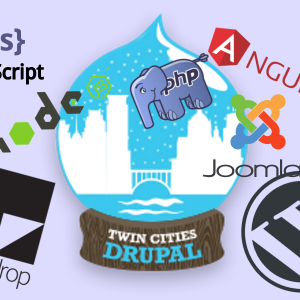 You don't have to love or even use Drupal to participate in Twin Cities Drupal Camp. We'd love to have some non-Drupal folks come spend the weekend with us and we've incorporated plenty of content that might appeal to anyone involved in web development. We have several sessions about building, scaling, and surviving in an open source community. We also have sessions on topics such as SEO, GDPR, internet security, and accessibility that will be of interested to anyone involved in web development. 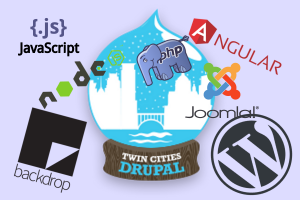 Here are my thoughts on how someone who doesn't use Drupal very much (or at all) might get a great deal of value from Twin Cities Drupal Camp ($55 for all 4 days of camp). All Day - Post your own BOF (Birds of a Feather) topic on our BOF chart and we'll provide space for a discussion. What do you want to talk about? 9:00am - Opening Remarks + Camp Photo - Everyone needs to be here for this. Your guide to getting the most from camp. 10:00am - Understanding Drupal - This might be the only time slot without any sessions that are not at least partially targeted at Drupal developers. HOWEVER, it does have this very basic beginner session on understanding Drupal. Use this as your opportunity to decide whether or not Drupal is for you. If not, we have plenty of other things for you to learn. It's also being taught by an excellent speaker and a super nice guy. Mauricio has taught folks about Drupal at camps and cons all over the country and the world. 11:15am - The GDPR is here. Are you ready? (You need to be!) - Need help understanding the GDPR and why should care about it. 1:45pm - The Next Big Thing and Why Should I Care? - Let’s take a run down on today’s “next big things” and try to understand them better. Specifically, (a) what is this and why should I care? (b) how can I start using these today? (c) is there a practical application with Drupal? or Scaling Community Decision-making - Any Free/Libre Open Source Software project will have elements of do-ocracy (rule of those who do the work) but this approach does not work for all decisions a software community must make. or Developing a Culture of Mentorship - Let’s talk about ways we can contribute to mentoring new developers in our teams and in our communities. 2:30pm - A Technologist's Guide To Marketing - Come to this session for a primer on marketing terms (MQLs, CTAs, Funnels, ...), marketing needs (NNN, CTR, Conversions, …) and competing marketing technologies (there are zillions!). We’ll start with the big picture and dive down into how things fit together and why they matter. 3:35pm - Overcoming Imposter Syndrome: How Weightlifting Helped Me Accept My Place in Tech - Anyone attending this session will walk away feeling empowered about their position and skills within the tech community! or Antaeus At Work; Human Centrism in Experience Design - Learn about the requirements of a Human Centric approach to Design and Software Development, and how the effort only yields rewards with investment. or CiviCRM secrets for Drupalers (also for Wordpress, BackdropCMS, and Joomla) - CiviCRM is a Constituent Relationship Management system with integrations for several popular open source content management systems. 6:00pm - 10:00pm - Friday Night Party: House of Balls - The parties at Drupal Camp are intended to be open and accessible to everyone. Our Friday night party happens in a unique art studio with plenty of space indoors and outdoors for 4 square, juggling, board games, Karaoke or lightning talks, and socializing without having to scream at each other. Come hang out with a unique and friendly groups of web professionals and friends. All Day - Post your own BOF (Birds of a Feather) topic on our BOF chart. Let's talk about your favorite tools or technology. 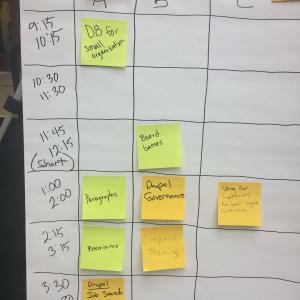 10:00am - Why fork Drupal? The philosophy behind Backdrop CMS - This session will highlight the Backdrop Mission, it's intended audience, and it's guiding principles. We'll explain the decision making process, introduce the Project Management Committee, and expand on how the project's direction is set by the needs of the whole community. We'll cover topics like how we handle Security and Stability, and talk about how we're trying to decrease the cost of long-term website ownership. or Maximum PhpStorm - Together we'll go beyond learning how tools like PhpStorm can level up your developer-y super powers and demonstrate how your developer life can change if you maximize your use of these tools. or SEO! Snippets! Schema! What is going on? - In this session, attendees will learn the key points behind the biggest changes in search, and the common requests they'll hear from their marketing teams. Attendees will leave equipped to speak to these requests and prioritize according to their capacity and impact on site performance. 11:15am - Accessibility 101 - What's It All About? - Attendees will be able to define digital accessibility and state who benefits from accessibility. Attendees will also come away with a greater appreciation of how screen reader users browse web sites. or Steering the Open Web - Why it is important as consumers and contributors to open source to openly collaborate and discuss common issues to enable us to steer the open web. 1:45pm - Nobody wants a website. They want results! 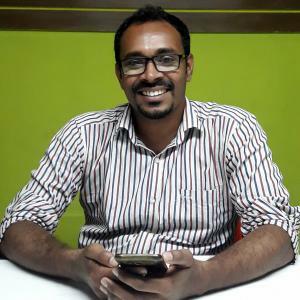 - General advice and wisdom from a speaker that regularly travels to both Wordpress and Drupal events across the country. or How to cope when the community lets you down? - Let's talk about what community means, reflect on our individual relationships with the community, and prepare ourselves for that moment when the community fails to live up to our expectations. Applies to any open source or tech community, but comes with specific Drupal examples. 3:00pm - Personal Internet Security Basics - No matter if you're a developer, designer, manager or a business owner, you're a person. And these days, being a person on the Internet can be a minefield. But you have to work on the Internet--living off the grid is not an option. or Ready? Set. Contribute! - Attendees will learn about various ways they can get involved in, and contribute to, both the local Drupal community and the larger Drupal project. While targeted at the Drupal community, the lessons apply to any open source community. 5:30 - 10:45pm - Saturday Night Party: FLOCK - Last year we had beer, food, and lots of board games. A quiet venue for socializing and decompressing after a long camp. Again, come hang out with a bunch of cool people that just happen to like Drupal.